Moving trucks, storage lockers and facilities, we have a great variety of ways in which we can store or hold unto our less used or unwanted items. Though these options are great for those who want to hold onto their trash, what if someone wants to get rid of it? Yard sales are novel idea, though they often leave a huge amount of excess in their wake and auctions are fine, assuming anyone wants to buy your junk but that still leaves tons of trash for clean up. 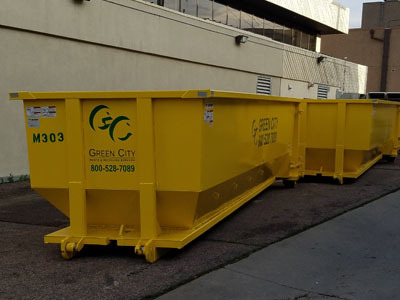 Thankfully, resorting to storage doesn't have to be an option, dumpster rentals are exactly what these events are made for. Dumpster rentals are not a new concept though one that is rarely talked about. They're often used to clean out garages or venues before their use, for movers who want to clean house, or those who simply want a makeover on their existing property. These containers also come in a variety of sizes from a mere 10 yards to a whopping 40 yards! These containers are perfect for large family get together's or for significant cleanup efforts. The mile high city of Denver is a heartwarming city bustling with activity. With the city becoming an artwork of architecture, many are deciding to renovate their own places to keep up with modern looks and increase its value. However, when it comes to renovating your home and doing major improvements, it becomes a hassle getting rid of the waste. You need an easy solution to the problem that is convenient for both you and the environment. So why not rent a dumpster right here in Denver! It’s much easier being able to get rid of that bathtub you pulled out yesterday and get the eyesore out of your house into a dumpster then stress about other alternatives that aren’t so suiting. While we make it seem that easy, there are some factors you should consider before you do your remodeling, so you have the dumpster you need for the job. Having trash can be an inconvenience let alone smelly. When it comes to your normal roll-down-the-curb trash cart, there’s only so much room you’re given before you have to wait until next week to finish your project you got going on at home. Denver regulations only allow you to leave extra trash bags outside of your city-issued cart only once a month. So what happens if you’re doing a bathroom or patio renovation? You don’t want trash and debris stuck in your house for weeks. Luckily, there are alternatives to trash management in Denver, and that starts with getting a dumpster rental. Finding a dumpster is rather an easy task to do. 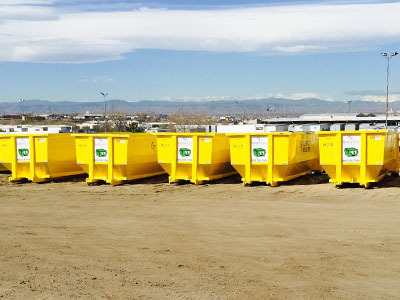 Dumpster rental companies can be found anywhere in the city on Denver, but not each company has the same values. 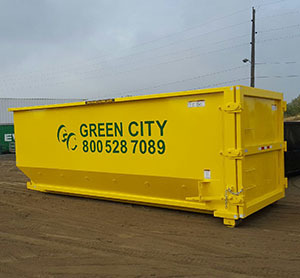 You want a dumpster rental company that you can count on for your project, so you don’t get stuck with trash and debris in your house for weeks to come.